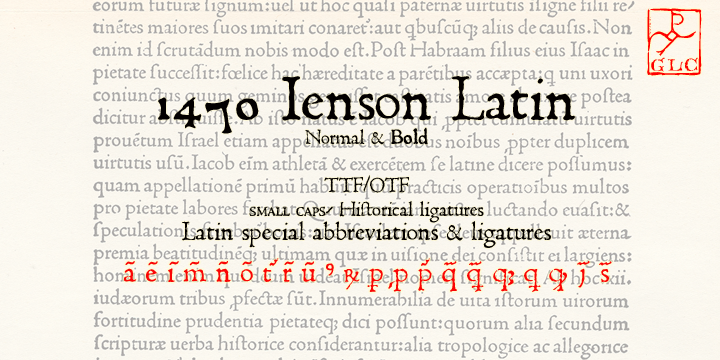 Jenson patterns redefined the fonts after 1470. Even this 1470 Jenson Latin is inspired from it and was first used to print De preparatio evangelica in Italy. The present day font library incorporates all the special abbreviations and ligatures from the original and a few new ones which were initially not available. Having publish by GLC, it very well incorporates other GLC libraries of decorated letters of 1500’s without any anachronism.